Mining is a process for extracting natural resources from the Earth’s crust. Mining is a process of extracting natural resources from the Earth’s crust. Modern mining consists of utilizing machinery to dig for resources which are identified by geologists and geophysisicsts. Engineers, contractors, governments, and companies then determine the best strategies for extracting these resources. Mining operations often consist of extraction, storage, and transportation of the raw resources. These resources are then shipped to other industries for processing or use. There are two principle forms of mining: surface mining and underground mining. Surface mining "Surface Mining and Reclamation." Washington State Department of Natural Resources. Web. 6 Aug. 2015. "Surface Mining and Reclamation." Washington State Department of Natural Resources. Web. 6 Aug. 2015. "Surface Mining and Reclamation." Washington State Department of Natural Resources. Web. 6 Aug. 2015. "Surface Mining and Reclamation." Washington State Department of Natural Resources. Web. 6 Aug. 2015. - consists of extracting resources which are only a few hundred metres below the surface of the earth. This involves clearing the surface in the region to be developed. Trees, brush, and topsoil must be removed to allow for land development. The layers of earth between valuable production seams, called “overburden”, must then be moved to allow for mining. Following mining, the overburden is replaced and land reclamation is performed. Underground mining - involves accessing deposits up to 3 km below the surface. In these operations, a series of tunnels and holes are drilled to access deep reserves. The most common and widespread use of mining in the energy industry is coal mining "Topic: Statistics and Facts about Mining." Statista: The Statistics Portal. Web. 6 Aug. 2015 "Topic: Statistics and Facts about Mining." Statista: The Statistics Portal. Web. 6 Aug. 2015 "Topic: Statistics and Facts about Mining." Statista: The Statistics Portal. Web. 6 Aug. 2015 "Topic: Statistics and Facts about Mining." Statista: The Statistics Portal. Web. 6 Aug. 2015 , where hard coal and brown coal/lignite is extracted from relatively shallow depths via surface or underground mining. 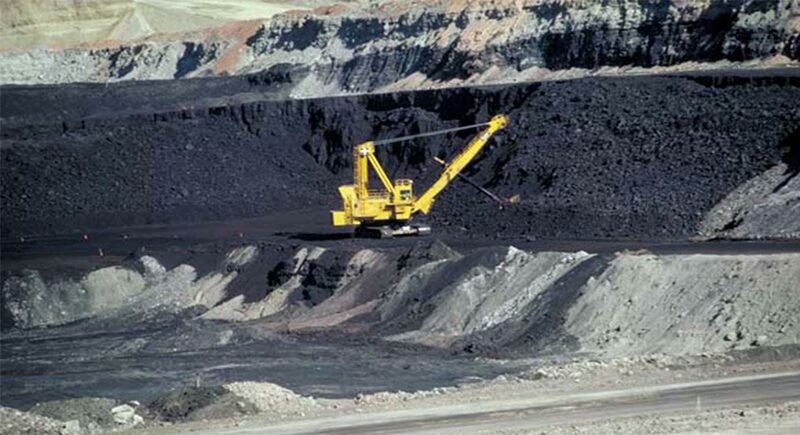 Surface mining of coal seams is often lucrative, as up to 90% of the coal deposits can be recovered. The two types of underground coal mining are known as “Room and Pillar” mining and “Longwall” mining, which may recover up to 40% and 75% of the coal seams, respectively "Underground (Subsurface) Mining Operations." BLM - The Bureau of Land Management. Web. 6 Aug. 2015. "Underground (Subsurface) Mining Operations." BLM - The Bureau of Land Management. Web. 6 Aug. 2015. "Underground (Subsurface) Mining Operations." BLM - The Bureau of Land Management. Web. 6 Aug. 2015. "Underground (Subsurface) Mining Operations." BLM - The Bureau of Land Management. Web. 6 Aug. 2015. .
Additionally, surface mining has a growing role to play in unconventional oil in the form of oil sands. Currently, 895 km2 of bitumen mining takes place in the Athabasca oil sands deposits in Alberta, Canada "Facts and Statistics: Oil Sands." Alberta Energy: About Oil Sands. Government of Alberta. Web. 6 Aug. 2015. "Facts and Statistics: Oil Sands." Alberta Energy: About Oil Sands. Government of Alberta. Web. 6 Aug. 2015. "Facts and Statistics: Oil Sands." Alberta Energy: About Oil Sands. Government of Alberta. Web. 6 Aug. 2015. "Facts and Statistics: Oil Sands." Alberta Energy: About Oil Sands. Government of Alberta. Web. 6 Aug. 2015. . Finally, other minerals such as uranium, cadmium, lithium, and thorium are all recovered via mining operations. Mining has a critical role to play in the energy industry. Fossil fuels such as coal and bitumen (oil sands) may be extracted via mining. Additionally, materials such as nickel, copper, and rare earth metals, which are necessary for solar panels, batteries, and other energy technologies, also rely heavily on mining processes. Mining is often criticized because of its widespread landscape clearing and other ecological disruptions which must occur to access the resources buried beneath the surface. Solutions such as landscape reclamation are necessary to mitigate environmental effects. Concerns over the industry’s presence in conflict areas are also an issue. Finally, working conditions of miners is a significant issue that is often portrayed in the public media. ^ "Surface Mining and Reclamation." Washington State Department of Natural Resources. Web. 6 Aug. 2015.
a, b "Underground (Subsurface) Mining Operations." BLM - The Bureau of Land Management. Web. 6 Aug. 2015. ^ "Facts and Statistics: Oil Sands." Alberta Energy: About Oil Sands. Government of Alberta. Web. 6 Aug. 2015. Sorry, we do not yet have a video specifically for Mining. We are adding new videos to StudentEnergy.org weekly, but in the meantime check out this video on Coal.